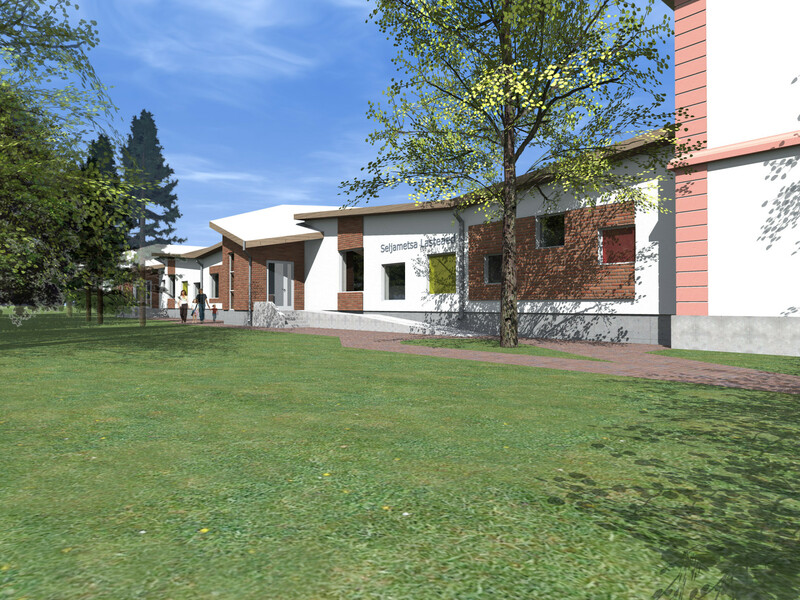 The project aims to replace the old kindergarten-elementary school building with an elementary school and moving the kindergarten to a newly constructed housing extension. 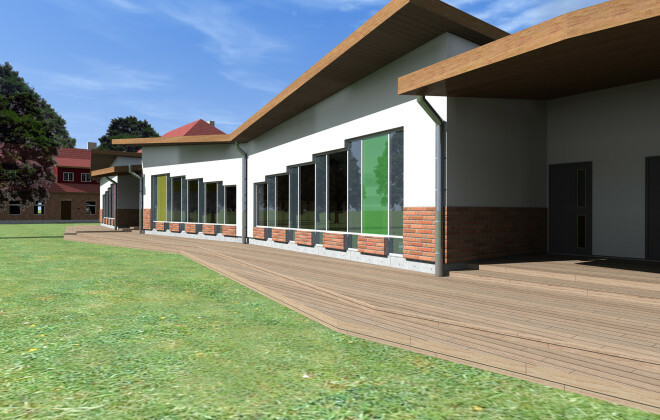 8 new children groups will replace the 5 previous ones in the planned project. 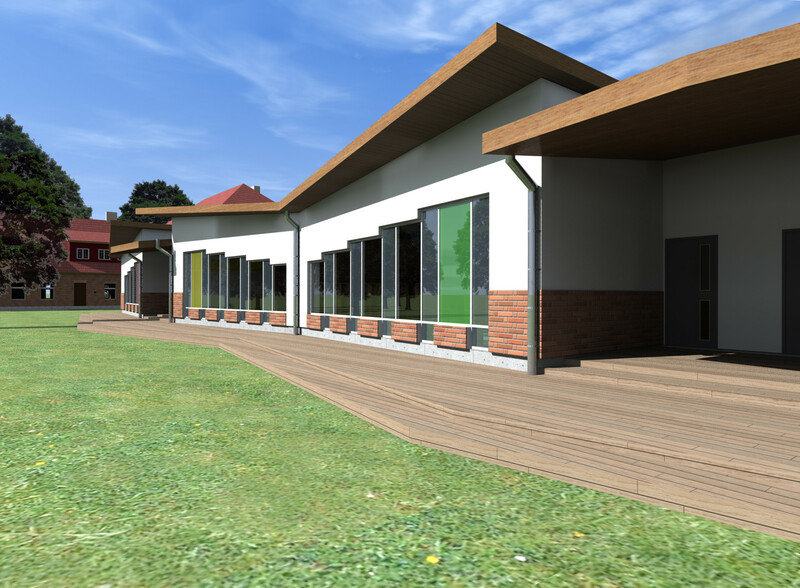 As recommended, the building will be constructed with higher heat emission values, since the project aims at an energy-saving and low energy consumption housing. 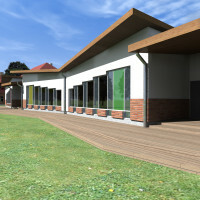 The architectural style is minimalist with rather expressive roofs, yet the room planning is functional. 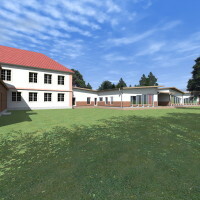 The main entrance in the east will remain in the middle of the building, leading to various premises. 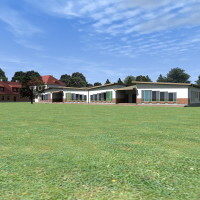 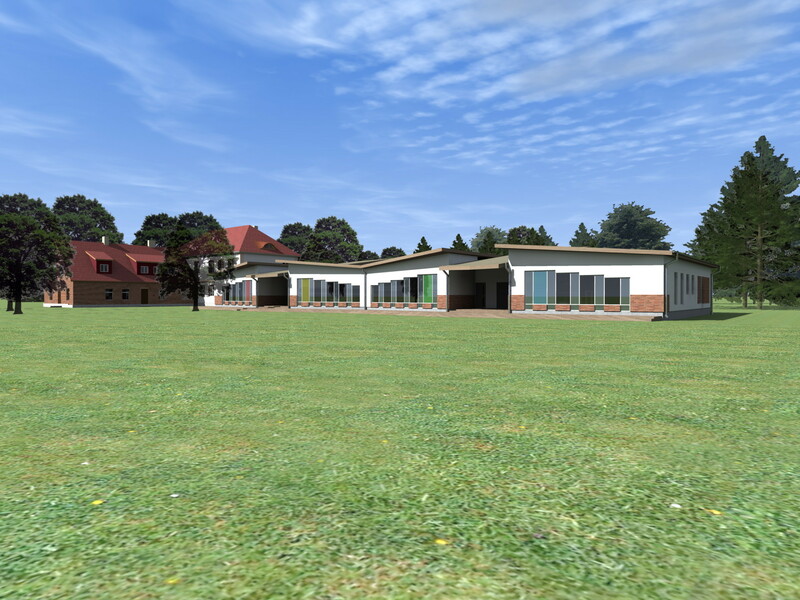 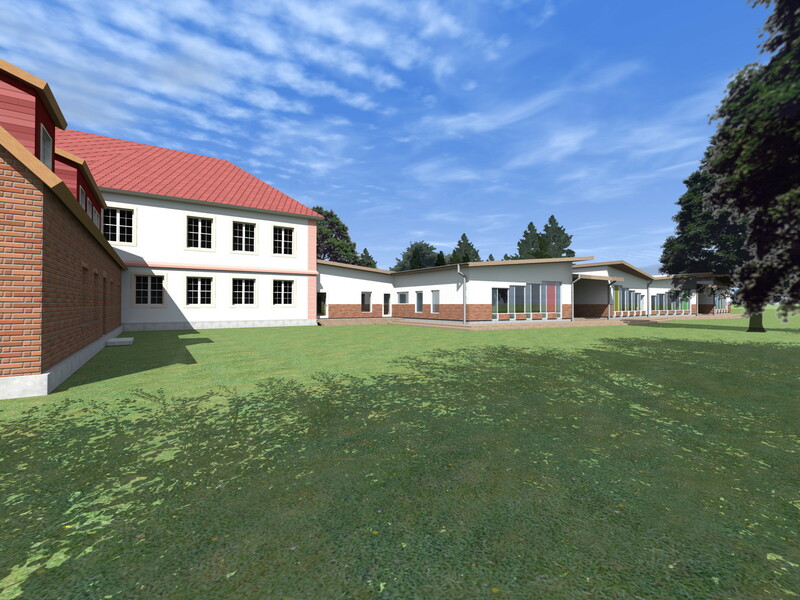 The new building will have 8 new kindergarten groups (altogether for 160 children), all of which have a similar layout.The site planning will take the volume of previous existing buildings into consideration. 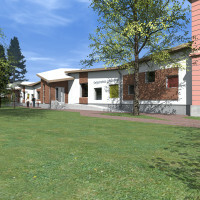 The client of the project is theEstonian Ministry of Education and Research.